CHICAGO — January 23, 2015 — According to the annual Miller Kaplan revenue report for the nation’s third largest market, total radio income for the market’s stations dipped from $419,715,000 in 2013 to $376,231,000 in 2014. For Hispanic radio, the growth seen in recent years has perhaps ebbed — substantially. Univision’s regional Mexican WOJO-FM remains the billing leader for Spanish-language stations in Chicago. However, total station revenue (which includes NTR and digital) is off 12.8% year over year, to $18.5 million. That puts it ninth overall.SBS-owned regional Mexican WLEY-FM enjoyed a 3.4% jump in revenue in 2014. However, it’s total revenue of $8,592,000 — while No. 2 among Spanish-language stations in the Windy City — remains nearly $10 million behind WOJO in the battle for dollars. Meanwhile, iHeart’s WNUA-FM 95.5, the one-time Spanish Hot AC “Mega” which in its final Hispanic incarnation competed against WOJO and WLEY as regional Mexican “Patron,” saw revenue slide nearly 18% from 2013 to 2014, to $7.5 million. WNUA earlier this month changed its programming to English-language country music, as WEBG. There was a huge gain in total revenue for Univision’s Spanish contemporary “Latino Mix” WVIV-FM 93.5/WVIX-FM 103.1 (the simulcast partners saw total revenue increase 60.9% year-over-year), to $5.1 million. Still, the overall numbers pale in comparison to general-market radio stations, increasing the call among Hispanic marketers and media sales executives to do more to build their “total market” stories. LOS ANGELES — December 4, 2014 — Three months after disappearing from satellite radio broadcaster SiriusXM, the former king of Spanish-language AM and FM radio is heading back to terrestrial radio. However, it’s not known if he’ll be heard in L.A. or in any major market soon. Eddie ‘Piolin’ Sotelo, who shot to fame at Univision Radio’s KSCA-FM 101.9 in Los Angeles before abruptly exiting the top-rated regional Mexican station amid sexual harassment allegations in July 2013, will now have his El Show de Piolin heard on two American General Media (AGM) stations: “Radio Lobo” KLVO-FM 97.7/KKIM-FM 94.7, serving the Albuquerque-Santa Fe DMA; and KEBT-FM “96.9 La Caliente” in Bakersfield, Calif. The new incarnation of El Show de Piolin will be heard on the stations in January. It’s the start of a climb back to the top for Piolin, who joined SiriusXM in October 2013 as part of a major initiative to lure Hispanic subscribers. The addition of the one-time Arbitron ratings champ proved less than successful for SiriusXM, and the satcaster canceled El Show de Piolin just after Labor Day 2014. Piolin’s much-heralded arrival at SiriusXM came amid claims he had sexually harrassed a male producer. At the same time, Piolin was forced to pay $100,000 in legal fees for former co-workers who a judge ruled had not extorted the host. Piolin’s new show will be syndicated to AGM’s two stations, and it is not yet publicly known where the show will be based or who will be distributing the program. According to Kantar Media, Spanish-language television continues to enjoy robust advertising growth. However, what Kantar defines as “Hispanic Local Radio” experienced a significant year-over-year dip–a worrying sign in a volatile market for Spanish-language and Hispanic-targeted AM and FM broadcasters. 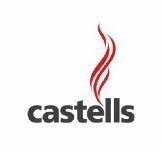 Spanish Language TV soared 18.0 percent in Q1 2014, compared to Q1 2013, primarily from gains at broadcast networks, Kantar reported today. The category includes four undisclosed Spanish-language broadcast networks, four Spanish-language cable networks, and 77 local broadcast channels targeting Spanish speakers. At the same time, “Hispanic Local Radio” stations–reflecting Spanish-language stations in 24 markets–were down 10.8 percent. The decline is being blamed on lower spending from retailers, auto dealers and restaurant categories. It is the first time Kantar has provided a specific look at Hispanic radio in its quarterly ad expenditure reports. Total advertising expenditures increased 5.7 percent in Q1 2014, to $34.9 billion, Kantar Media notes. Every measured type of television had expenditure increases in Q1 2014, compared to Q1 2013. Call it the Olympics Effect. Overall results for the radio industry were mixed: National Spot Radio was up 6.7 percent, driven by a larger number of brands using the medium. But local radio, reflected by Kantar as only English-language stations, suffered an ad expenditure decline of 4.7 percent. As noted in the EPMG-distributed Hispanic Print Overview 2014, produced by The Adam R Jacobson Editorial Services & Research Consultancy, Hispanic print media has fared strongly compared to English-language print media–notably newspapers–with respect to ad growth. This is reflected in Kantar’s latest data, which show year-over-year ad expenditures for Spanish-language newspapers statistically flat (+0.2) in Q1. By comparison, all print newspaper media experienced a 5% year-over-year ad expenditure drop in the quarter. Similarly, Hispanic magazines–led by People en Español and Vandidades–experienced a strong 15.8 percent ad expenditures gain in Q1 ’14, compared to the same period a year ago. Overall, magazines saw a 1.6 percent decline in ad revenue during the period. The bottom line totals were skewed by severe reductions from the two largest magazine advertisers (Procter & Gamble and L’Oreal), who account for more than ten percent of total spending for all magazines, regardless of language. According to local advertising research firm BIA/Kelsey, the No. 1 Hispanic radio station by estimated revenue in FY 2013 is Univision Radio’s gold-based Spanish Adult Contemporary KLVE-FM “Radio Amor” in Los Angeles. The station accounted for $31.2 million in estimated revenue during the year. Close behind at No. 2 is another L.A. radio station—Liberman’s regional Mexican KBUE-FM “Qué Buena,” with estimated billing of $27.3 million. Three L.A.-based radio stations can be found in the top five, with SBS’s KLAX-FM “La Raza” ranked seventh nationally with an estimated $20.3 million in revenue. Univision stations dominate the top 10, while SBS takes three of the spots. But SBS dominates in New York, as Univision’s WXNY-FM and WADO-AM are not among the nation’s top 10 Hispanic stations by billing. Hispanic Market Overview 2014, presented by Lopez Negrete Communications, is now available via download at no charge to all via HispanicAd.com. We thank the more than 3,000 industry professionals who downloaded this year’s report within the first 24 hours of its release. Due to the size of the PDF file, iPad and iPhone users have been unable to view the document. Therefore, AdamRJacobson.com will be offering select excepts from this year’s report in the coming weeks as a benefit to industry professionals. We begin our series of excepts with a Q&A session from Los Angeles featuring Nielsen’s Stacie de Armas. It’s hard to believe that Arbitron doesn’t exist anymore. approved its $1.26 billion acquisition of the Columbia, MD-based operation. seeking a single metric for their media buying and planning? Or, is it about radio ratings, TV ratings, digital impressions, etc. African-Americans; and improved in-station monitoring of the PPM encoding system. pleased to be rolling them out. some radio operators into a tizzy in some markets because it seemed a particular metro overnight went from Spanish-dominant to English-dominant. What is Nielsen Audio doing to educate the market on these adjustments? 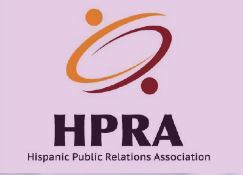 HMO: Is Hispanic radio still, in the minds of advertisers and/or operators, “Spanish-language radio”? At a recent industry conference there seemed to be no delineation between the two, which I find worrisome. STACIE: We can’t speak for advertisers or operators, but we can say that we have begun to hear discussions about advertisers wanting to touch Latinos with ‘cultural relevance’. That is to say, that advertising that appeals to Latinos comes in many forms, including Spanish, English, and in a bilingual fashion. But cultural relevance is playing an increasingly important role. Advertisers say that one of the most important elements of great creative targeted toward Latinos is that it resonates, has significant cultural relevancy, and can be delivered in any language. Having said that, Hispanics still listen to more radio than any other demographic group. Nationwide, more than 93% of all Hispanics age 12 or older (or 40 million listeners) use radio every week. Regional Mexican has the largest share of listening among Hispanics. HMO: What can you say with respect to Hispanics tuning to radio, and Hispanics listening to AM and FM stations via a digital or online platform? What are the exciting things we are seeing with respect to trends and growth? STACIE: There is no doubt that Hispanics consume audio through a variety of platforms both over-the-air, and online via smartphones, tablets, notebook/desktop computers and digital car dashboards. It should be noted that Hispanics are adopting smartphones at a higher rate than any other demographics group: Nearly 3 in 4 Latinos own a smart phone. Mobile phones, among other options, are heavily used to stream audio and video content. We know that 37 percent of Latinas stream audio on their phones. This is an exciting time for radio as they fine tune their various platforms to resonate with this key group. HMO: With Arbitron’s absorption into Nielsen, the ability to look at Hispanic media consumption is stronger than ever. But have we reached a point where we must break out Hispanics who speak Spanish versus Hispanics who speak English on all reports? STACIE: For many marketers, radio groups, television and cable networks and others, language usage and preference among Latinos is an important metric that we supply in most of our reports. Country of Origin information was added for Hispanic Radio markets in 2008 and can be found by subscribers in both the eBook and in software applications. Is all of the endless chatter about “total market” total BS? Is the advertising and marketing industry’s infatuation with millennials completely daft, since these consumers are more likely to have crappy jobs and far less money to spend on anything when compared to their parents and grandparents? Is it time for the author of Hispanic Market Overview, presented by Lopez Negrete Communications, to say “So long and -30-” because Hispanic marketing and advertising has peaked and is starting its slow, painful slide downward? In the fifth edition of Hispanic Market Overview, the question of “what is ‘total market’ and how does the marketer best tackle this in their buying and planning and Hispanic executions?” is fully probed by some of the top executives in the Hispanic market today. We also examine the coveted Latino millennial, and why they are important as influencers and are social media leaders. At the same time, we look at how the Hispanic consumer is at the forefront of swift changes in how we consume media, and why the debate of ‘Hispanic’ versus ‘Spanish-language’ needs to be put to rest once and for all. This year’s report will also offer readers the opportunity to download the recently released Hispanic Print Overview, prepared by Adam R Jacobson via exclusive arrangement with EPMG of San Diego, CA as the industry’s most in-depth newspaper and digital news media White Paper. Note: The PDF file is very big and does not open on iPad or iPhone devices, nor on select smartphones. With a slogan promoting itself as the home for “ritmo romántico de Miami,” I-95 features a wide mix of current and recent Tropical and Spanish Contemporary hits. The 6pm hour included songs from Prince Royce, Alejandro Sanz, Aventura, Chino & Nacho, Fonseca, Chayanne and Ricardo Arjona, among other artists. Popular English-language ballads can also be found on I-95, including Miley Cyrus’ “Wrecking Ball,” Pink’s “Just Give Me a Reason” and Aerosmith’s “I Don’t Want to Miss a Thing.” Reflecting Miami’s penchant for dance music, the 7pm hour also featured the popular nightclub track “Levels,” by Avicii. Other artists heard on I-95 include Spanish pop superstars Juanes and Maná. I-95 is presently absent of air personalities and is commercial-free, with the focus on the station’s new musical direction, which incorporates elements of WRMA’s long-time “Romance” Spanish Adult Contemporary format with some of the English-language Top 40 hits aired on its successor presentation, “DJ106.7.” I-95’s 40,000-watt signal is centered in Miami-Dade County and enjoys city-grade coverage over southern Broward County, which has gained a considerable number of Latino residents in recent years. With the debut of I-95, WRMA is now the sole home for “El Zol,” which takes a greater focus on bachata, merengue and much of the reggaetón-infused Latin Pop found on Spanish Contemporary stations across the eastern U.S. and Puerto Rico. The shift of El Zol to the 106.7 FM frequency ended a roughly 16-month run for “DJ106.7,” which featured noted Miami-based talent DJ Laz in morning drive and English-language pop music with Spanish-language commercials. The DJ106.7 presentation replaced Romance in July 2012. The move to the bigger 106.7 FM frequency for El Zol has already improved SBS’s fortunes in the Nielsen Audio ratings for Miami-Fort Lauderdale. In December 2013, WXDJ cracked the top 10 by capturing a 3.9 share of all radio listeners, regardless of language –placing it behind only Univision Radio’s Spanish Adult Contemporary WAMR “Amor 107.5” in the battle for supremacy among Miami’s Spanish-language stations. WXDJ had a 2.8 share in October 2013, jumping past Univision Radio’s Spanish Contemporary WRTO “Mix 98” in December. DECEMBER 2, 2013 – Los Angeles – More than four months after Univision Radio confirmed the surprisingly abrupt departure from Univision Radio of Eddie “Piolin” Sotelo, the company today unveiled the program that will replace Piolin at its regional Mexican flagship KSCA-FM “La 101.9” in Los Angeles–but not on Piolin’s former Texas affiliates. Univision Radio has paired KLNO-FM “La Que Buena” on-air personality Raul Molinar (known on the station as “El Primo”) with La 101.9 afternoon host Andres Maldonado (known on-air as “El Feo”) and Silvia del Valle, who joins Univision after a year with Glendale, CA-based Media Latino Communications’ La Numero Uno Network. However, del Valle is perhaps best-known for her stint in middays at SBS’s regional Mexican KLAX-FM “97.9 La Raza” in Los Angeles as “La Bronca.” In that role, her program was simulcast on KRZZ-FM “La Raza 93.3” in San Francisco and on now-defunct WRAZ-FM “La Raza” in the Miami suburb of Homestead, Fla. Del Valle also found a national television audience through her role as a judge on Azteca America’s Quiero Ser Grupero competition show. In Los Angeles the trio hit the air this morning in the 6-10am slot as “El Bueno, La Mala, y El Feo.” It is believed that the hosts will not use their previous on-air nicknames. But the show, which already has a Facebook and Twitter social media presence and is using the “BMF Show” name as its unofficial shorthand name, will not replace Piolin in Houston, San Antonio, El Paso and the Rio Grande Valley. Rather, the trio’s new program will air in the 11am-3pm slot on KLTN-FM 102.9, KROM-FM 92.9, KBNA-FM 97.5, and KGBT-FM 98.5, respectively. Univision Radio regional Mexican stations in Chicago, Dallas, San Francisco, San Diego, Phoenix, Fresno, Las Vegas, Austin and Albuquerque will also add “El Bueno, La Mala, y El Feo.” But Univision was coy on when the program would debut and did not note what time slot it would take in these markets. While Harrison is upbeat about the new program, Univision Radio has a tremendous challenge ahead as it attempts to recoup from steep ratings declines at many of the stations that once aired Piolin. According to Inside Radio analysis of Nielsen Audio data from July to September, a morning drive decrease in 25-54 share of a stunning 58% was seen at Univision’s KHOT-FM “La Nueva 105.9” in Phoenix, which now ranks eight-tenths of a share behind Entravision’s KLNZ-FM “Tricolor 103.5” in the overall ratings. It is also unclear why del Valle will apparently not be taking to Univision Radio airwaves as “La Bronca,” as she is known to legions of regional Mexican radio listeners in the Golden State. While using the name at KLAX, del Valle was sandwiched between then-morning host Renan Almendarez Coello’s El Cucuy de la Manana and an afternoon program hosted by El Mandril. Interestingly, El Mandril–like Piolin–is also off of L.A. airwaves. However, the reason for the disappearance of El Mandril is hazy amid allegations first reported by La Opinion newspaper of Los Angeles that he or one of his associates is tied to a ratings manipulation claim under investigation by Nielsen Audio with the cooperation of KLAX owner SBS. In Los Angeles, El Bueno, La Mala, y El Feo will seek to attract regional Mexican radio listeners in a market where Liberman Broadcasting’s “Que Buena” has capitalized on the presence of Don Cheto in morning drive throughout the disruptions at KSCA and KLAX. And, says SBS CFO Joe Garcia, culture is what will make Spanish-language radiocontinue to maintain a sizeable audience in the U.S. Hispanic market. Garcia was joined by other group heads at the Radio Ink Hispanic Radio Conference’s concluding “Super Session,” with Davidson Media Group chairman Sanjay Sanghoee noting that Spanish-language radio stations the company owns and/or operates are likely to stay Spanish for years to come. Adelante Media Group CEO Jay Meyers believes that it will be at least 20 years before Hispanics start to tune out of Spanish-language radio in great numbers. Today, use of Spanish, or English, or a mix of both languages is highly dependent on how a company should best serve its particular market, says Entravision Communications radio division president Jeff Liberman. And if it is German Polkas that the Hispanic 18-49-year adult wants, that’s what they’ll get, says Univision Radio president José Valle. Tapestry Media Director Victor Garcia believes developing content that the media buyer can take wherever they want, free from the restrictions presented by working with one broadcast company over another, will best monetize beyond the AM/FM band and bring greater ROI. “To depend on one specific vehicle will leave us all shut,” he said. Speaking on a panel devoted to finding new accounts and fostering advertiser growth, Garcia noted that Starcom Mediavest’s Tapestry unit “wants to hold our multicultural plans to the same rigor as the general market.” He’s seen many situations where an investment occurs, but without a goal. His job – to stop such scenarios. “The recording industry through downloads and digital content have taken it on the chin and are now trying to recoup by putting it on the backs of radiobroadcasters.” – Francisco Montero, co-managing partner of Fletcher, Heald and Hildreth, discussing the Performance Rights Act. “When you sit around and look at some of the regulations broadcasters are forced to deal with, it’s just stupid. Having a public file was great stuff in the sixties, and the fifties, and the fourties. In 1977 people actually came in and looked at our public file. But today?” – Adelante Media Group CEO Jay Meyers, on how Federal government regulations need to better reflect today’s consumer environment. “We need to think about creating environments and programs that get people engaged and stop offering one-way messages and treat them as users – and not as consumers.” – Sensis Agency president José Villa. Still, the industry has come a long way since 1962, when honorary conference chair and industry icon Eduardo Caballero launched a Spanish-language radiostation in New York. Later, when he launched a national network advertising sales representation firm for Hispanic radio, there were still challenges – just 49 Spanish-language radio stations were on the air in the U.S., and agencies ignored him. This forced Caballero to go direct to the advertisers – something that gives Hispanic broadcasters an advantage today, capitalizing on the ability to sell to people without having a microfocus on CPM. In a moving acceptance speech of the 2012 Lifetime Achievement “Medallas de Cortez” award, Lotus Communications CEO Howard Kalmenson urged conference attendees to pay heed to the threat of in-vehicle internet access – something that will end radio‘s exclusivity while on the road. “Exclusivity in the car has been our life blood. Now, you’ve got competitors you’ve never dreamed of. They don’t need towers. They don’t need offices. Think over what’s really coming … and ask, ‘What do I do for the next 50 years?’” Going back to basics is one of Kalmenson’s suggestions; he refused to reveal the other ideas he has in mind. Receiving 2012 Medallas de Cortez as Station of the Year for Markets 1-25: Entravision’s Mexican Regional KDLD-FM 103.1 “El Gato” in Los Angeles. Taking the award for markets 25+ is Connoisseur Media’s KBBX-FM in Omaha. For a full list of award winners, visit http://www.radioink.com. Hispanic entrepreneur Charles Garcia, best-selling author of A Message from Garcia and Leadership Lessons of the White House Fellows, told conference attendees in a keynote address that radio‘s key business trait is its ability to touch people’s hearts. He devoted much of his conversation to the importance of Latinos in the 2012 Race to the White House: Of the 15 “swing states” Republicans must capture, the majority have significant numbers of registered Hispanic voters. Given the lack of support among Latinos of the two leading Republican presidential nominees, Garcia believes it is nearly impossible for President Obama to lose the November election. For radio, bringing the political message of both the Republican nominee and Obama’s reelection campaign to Latinos is essential – and the industry should do its part to foster political advertising at its stations. In a prerecorded statement, Sen. Marco Rubio (R-Fla.) noted that radio plays a critical role, not just in this year’s elections, but moving forward with respect to connecting to a large segment of voters. Politicians should rely on Spanish-language to get the message out, and to continuously inform the public on information pertinent to them. “To win the game, you have to know what the rules are to win that game.” – Programming consultant Bob Perry, who says a station with both English-language and Spanish-language programming is dependent on the unique dynamics of each individual market. “In the PPM world we’re programming on a minute-by-minute basis.” – Haz Montana, Operations Manager, Univision Radio/Los Angeles, who believes growing the “big tent” has led to the end of Spanish-language radio shows known for “shock moments” designed to aid recall when completing an Arbitron diary.